Physio Solutions SA is home to nationally renowned Physiotherapists working in partnership with a team of skilled support staff. Expect friendly smiles and caring professionals. 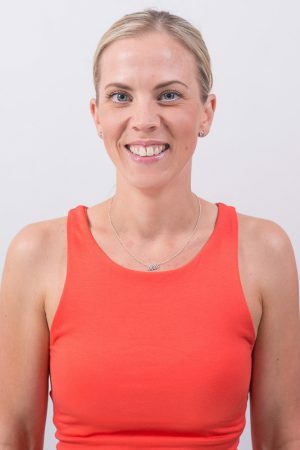 After completing years 8-12 at Westminster School, Leigh graduated from the University of South Australia in 2006 with a Bachelor of Physiotherapy. 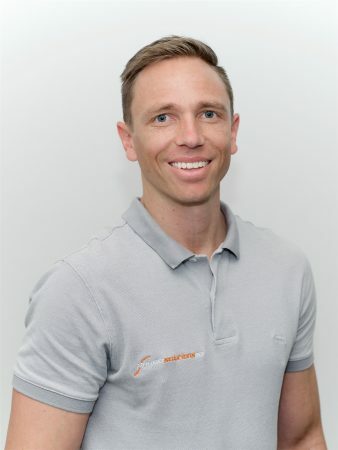 Leigh has provided physiotherapy services to Greater Western Sydney, Glenelg Football Club, Brighton Football Club, Team IAM International Cycling Team and various netball clubs. He continues to attend workshops and seminars to ensure he is at the forefront of the physiotherapy progression. He is a member of the Australian Physiotherapy Association (APA). While Leigh has a special interest in sports injuries, he has predominately worked in private practice and has great expertise in treating all musculoskeletal injuries. Leigh has also completed level 1-4 DMA Clinical Pilates. Leigh works with a hands on treatment approach, including but not limited to manipulation, joint mobilisation, soft tissue/trigger point work and Pilates/functional strengthening. Leigh is passionate about teaching the benefits of Clinical Pilates for fitness and injury rehabilitation. Outside of work Leigh has played football for many years and although he has now retired he still has a keen interest in the game. He is a member of Glenelg Golf Club and enjoys playing weekly. Leigh also enjoys travelling. Gabe completed his schooling at Brighton Secondary before graduating with a Bachelor of Human Movement and a Masters of Physiotherapy at the University of South Australia. Gabe has experience working in sports based rehabilitation, post-operative joint rehabilitation and acute management of on-field sporting injuries. Gabe has additional training in dry needling. Gabe has extensive personal experience with both anterior cruciate ligament reconstruction and arthroscopic surgery of the knee and understands the importance of developing tailored rehabilitative programs to ensure the recovery of the physical demands of these injuries. Gabe is passionate in treating conditions of the knee, hip and shoulder both in an acute setting and orthopaedic rehabilitation. 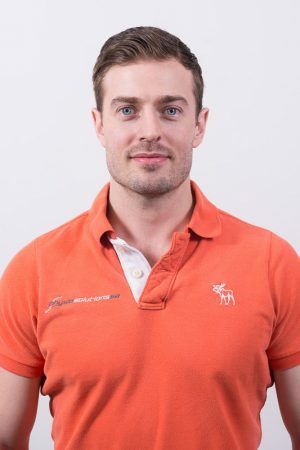 Gabe endeavours to combine an empathic approach with manual therapy techniques while including exercise based self-management strategies to facilitate the recovery from injury, while developing patient centred understanding of the condition. In addition to Physiotherapy, Gabe enjoys an active lifestyle involving gym based training, recreational running and is involved in team sports. 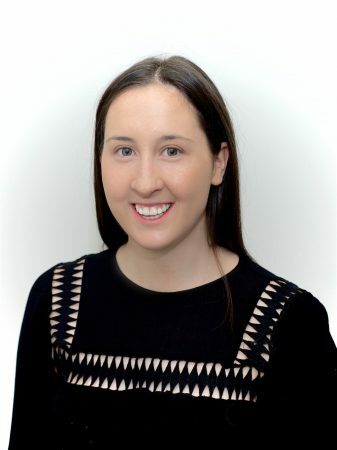 Bree completed her schooling at Loreto College before graduating with a Bachelor of Physiotherapy in 2013. Bree has experience working in both private practice as well as orthopaedic in-patient rehabilitation and on field sporting teams. She has additional training in Pilates and dry needling. Bree was a state level surfer and swimmer and underwent a shoulder reconstruction herself in 2012. This allowed her to gain an insight into rehabilitation and highlighted the importance of working collaboratively with her physiotherapist to achieve her goals and return to sport. Bree enjoys treating conditions of the shoulder, orthopaedic rehabilitation as well as general musculoskeletal conditions. She believes in a hands on approach to treatment and combines manual therapy techniques with exercise prescription including Pilates to gain long lasting results for her patients. Outside of work Bree enjoys spending time on the Yorke Peninsula surfing and fishing and loves travelling! At Physio Solutions SA, we have a great support system within our Administration Team. If you have any queries relating to your appointment, CTP, WorkCover claims, referrals, products or special requirements, please do not hesitate to ask one of our Team. Ellie Jamieson, our vivacious Practice Manager is the ‘smiling face of Physio Solutions SA’. Ellie has been with the practice since its commencement in 2011. Ellie brings a wealth of experience in medical reception to the Practice. She is very professional and dedicated to the efficient running of Physio Solutions SA. 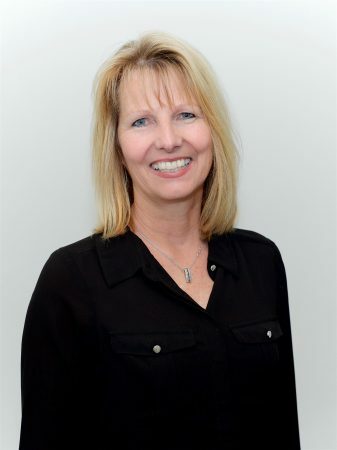 Ellie works closely with the entire team to bring you the best standard of patient care from the minute you walk through the door. Ellie enjoys spending time with her beautiful son Mason, walking her dog ‘Occy’ on the beach, stand-up paddle boarding and Pilates in her spare time. Jourden Jones joined the team in August 2017 and brings with her over 11 year’s experience in customer service. She has an extremely enthusiastic and a positive person, here to help in any way possible. Something you might not know about her is that she is actually a World Champion in the surf lifesaving event of March Past. When she’s not helping out with the running of the clinic, she enjoys exercising, networking, dining out for breakfast and passionately caring for her beloved Labrador, Pete Jones. 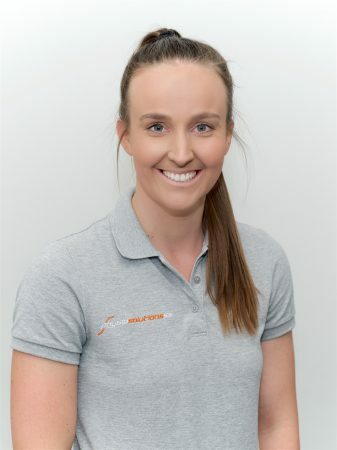 Elizabeth Hawker is a part time receptionist at Physio Solutions SA. Liz has been with us for over a year and has built a reputation for herself as being highly organised and super-efficient. She is a country girl, originally from Kaniva Victoria and moved to Adelaide in 2008 as a boarder at Seymour College. 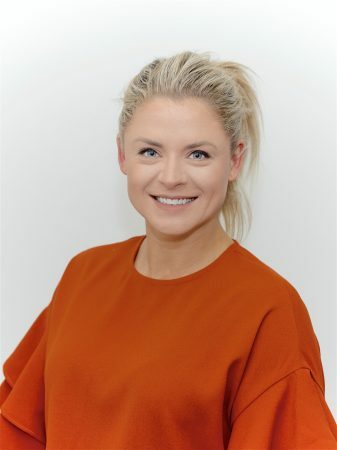 When she isn’t working at Physio Solutions, you’ll probably find her studying as she is currently completing her Batchelor of Law at Adelaide University. In her spare time, she enjoys spending time with friends and family, travelling, water sports & eating ice cream. 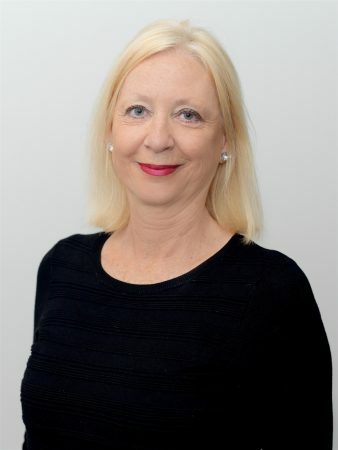 Julie Cummings is a part time receptionist at Physio Solutions SA. She brings a wealth of experience after working 25 years in the health industry. Julie has 2 boys who she adores. Julie’s passion is running and has competed in long distance events for 30 years, including 3 marathons, Coolangatta Gold, Port Macquarie Ironman and the 2017 Hawaii Ironman World Championship. Janna Schneebichler is a part-time receptionist at Physio Solutions SA. 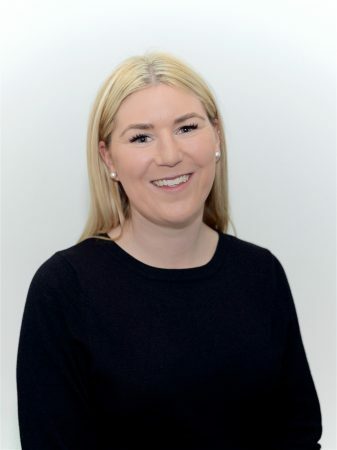 Working closely with the team, Janna is positive, loves engaging in banter yet is highly professional in her role and looks forward to assisting you with any enquiries. Janna is an extremely active person and enjoys her fitness. She loves walking her dog along the beach and spending time with friends and family. Jenny Schneebichler is a part-time receptionist at Physio Solutions SA. Jenny joined the team in 2011 and with her background in office administration, she can assist you with any enquiries or appointments. In co-operation with the Physiotherapists, Jenny is only too happy to be of assistance to you. Jenny enjoys spending time with her family, walking her dog and going to the beach. Christine Ammann discovered the wonderful benefits of Kinesiology whilst searching for help for her own children’s health and learning difficulties in 1998. Since then she graduated with a Diploma in Kinesiology, an Advanced Diploma in Bowen Therapy and a Certificate IV in Training and Assessment. She is an accredited member of the AKA, BTFA and ATMS providing consultations and training combining Kinesiology, Bowen, Craniosacral (CST) and Neuro Linguistic Programming (NLP). After more than a decade working and studying in Australia and Europe, Christine’s passion and appreciation for these complementary medicines has only deepenedÂ over the years as she has seen them change so many lives! 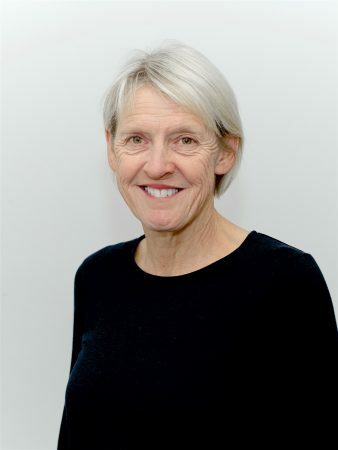 She enjoys sharing her passion and knowledge by providing training courses for professionals and the public through the NHA College as well as consulting from Physio Solutions at Brighton, SA. Besides work Christine enjoys long beach walks (with coffee), snorkelling in remote places and spending time with family, friends and her beautiful little granddaughter.